A couple of years ago I attended the University of Chicago Booth for a week-long executive class called High Performance Leadership. I loved it. As we studied leadership the professor made it clear that about 2% us will never have leadership capacity, and 2% of us can do it in our sleep. 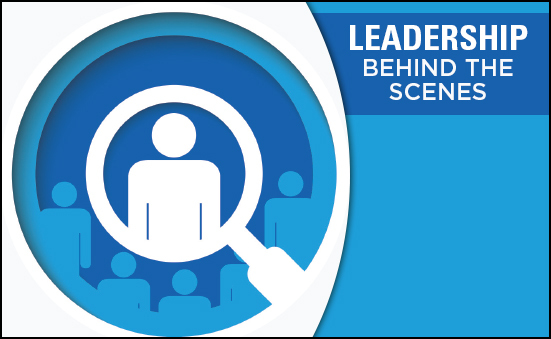 However, most of us or 96% have an average level of leadership capacity. It’s the most of us that have the opportunity to develop the courage, capacity and wisdom to increase our leadership capacity. 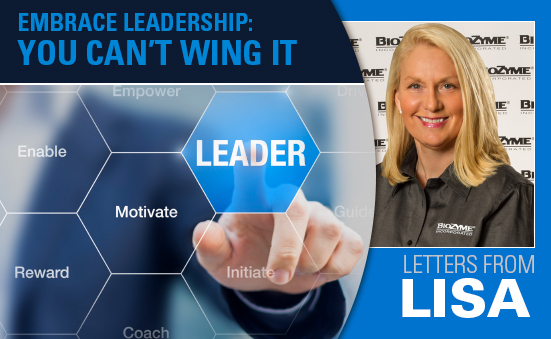 My teacher, Linda Ginzel, believes that very few people are born leaders and very few don’t have the capacity at all. She wrote a very good book called “Choosing Leadership.” Bottom line from the class and the book: you can’t wing leadership. And so that means all the qualities in the diagram are important for leaders to think about and intentionally work on every day. Let me give you a true Lisa example. In the Chicago Booth class, we had to share something that people who we work with say about us directly to us or what we hear from others about what they say. Mine was easy. The first thing people always say to me when they address me is, “I know you are so busy, but . . . “(this really bothers me as I never want to be too busy for our employees). The class then asked me to explain my typical day. I leave my house on the phone to one of my BioZyme® colleagues. I drive to work still on the phone. I pull into the parking lot still on the phone, usually to a different colleague. I get all my stuff out of the car still on the phone. I go into the building and walk all the way down the main hall to my office on the phone. That’s where I got stopped by my classmates. They said that my entrance into the building and hall walk sends the message from the git-go that I am busy. That’s winging it. I can’t wing it. So, now I sit in the parking lot until I can be off the phone and come in and continue all the way down the hall saying good morning. This seemed a bit dumb to me as I felt I was just maximizing time, but the more I studied choosing leadership, the more I realized talking on the phone like that is winging it and not focusing on being more sincere. Taking this type of action (changing) is hard work but choosing leadership as a skill not a trait and honing it through both reflection and practice will change your future, and it’s a verb worth embracing. At your first glance at the Gatlin Feed website, you would presume this business is a fullservice farm store that specializes in livestock feed and nutrition and a full gamut of farm supplies for every specie. And, they do. But their real specialty is making people’s lives easier. “I’m in the service business. Everybody wants their life to be easier and that is what we try to do. We don’t promote anything I haven’t used. 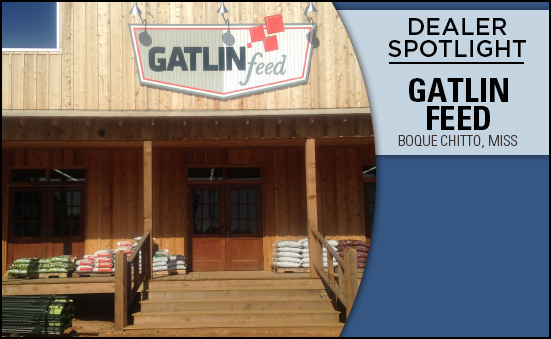 If I don’t think it works, I would never sell it,” said Jeff Gatlin, owner of Gatlin Feed based in Boque Chitto, Miss. Jeff has been providing service and selling feed to his customers for more than 40 years. His dad, Charles, started the family business when he started mixing his feed for his cattle, looking for a consistent product that worked year-after-year. His neighbors noticed the higher-performing, healthier looking cattle, and the elder Gatlin was now in the feed business. Jeff purchased his dad’s share of the business about 15-20 years ago, and just a few years ago started adding Amaferm® into a feed he was giving some cattle he was backgrounding. 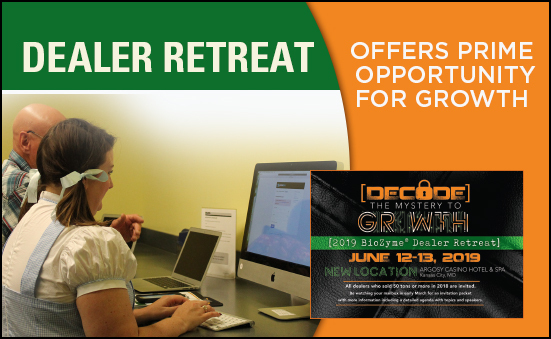 He noticed a marked difference in efficiency and growth and became a BioZyme® dealer soon after, continuing to add Amaferm into some of the cattle and wildlife feeds his mill makes as well as selling the other supplements to his customers. Gatlin markets a deer ration with Amaferm to several breeders in the South. He said the conception rates on their does have increased considerably, and the overall health of the deer has improved since including Amaferm in the feed. At the Whitetails of Louisiana breeders’ show the past two years, customers on Gatlin’s deer feed have taken four of the top five awards in antlers and deer size. “Those awards have helped improve our sales. We are competing against the Purinas and Nutrenas, and it’s pretty neat being a Tier 2 distributor manufacturing our own feed. It’s pretty neat when your product does as well or better,” Jeff said. 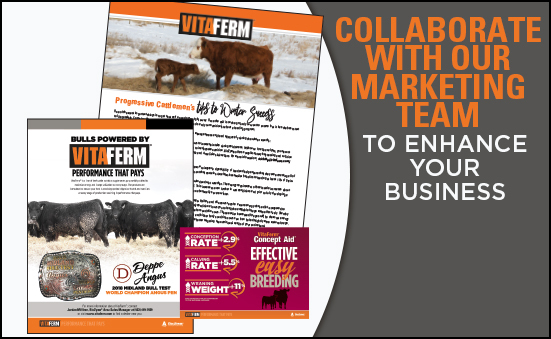 In addition to the cattle and deer feed, Jeff also has a growing market for the Vitalize® High Performance mineral. He has several race tracks and breeders in south Louisiana that have been pleased with the product, and he continues to grow within the equine market. When Jeff makes his Sunday afternoon deliveries, he usually will call ahead to see what products besides mineral the customer might need. If a producer needs mineral, they might also need fencing supplies, a feeder or some other farm equipment that Jeff can sell them. And when he delivers it on a Sunday, he’s providing service and making their lives easier. 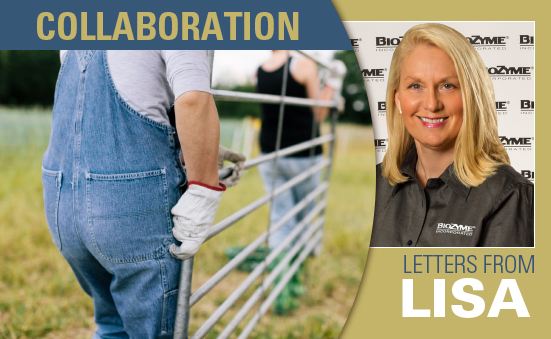 We often think of collaboration as this big thing that the whole organization has to improve, but collaboration is something that happens on a smaller scale. Collaboration is about two or more people working together on shared processes to achieve a common goal. If people are working together, but have no common goals, they are cooperating, not collaborating. Cooperation is usually much more lightweight than collaboration and often has less focused goals. Cooperation is certainly not a bad thing, but collaboration just gets us one step closer to being WOWing. So how does one achieve collaboration? To begin collaborating on something, you need a shared understanding of what you are trying to do. Without a clear and common goal, it’s difficult to do anything as a team. The goal can be as simple as a statement everyone agrees on. I like to use a hypothesis to state the clear goal. A hypothesis is a proposed explanation made as a starting point for further investigation. I have found that doing this reduces team defensiveness. Team members will work together better when they have real, genuine relationships with one another. Of course, you can’t force that to happen—rather, you have to facilitate the building of relationships organically. It’s easier to build relationships when people work face-to-face and when people can relate to and empathize with one another. Individuals will likely be paired with others who have different perspectives and experiences at some point during the collaboration. All team members will need to come to know and understand one another in order to create a sense of security within the group. Openmindedness leads to a safer and more comfortable collaborative environment. Sometimes at BioZyme® I will title meetings as the _______ Party. Just using the word “party” changes how people come to the table. If you use this approach, you must take the theme to the decorations and have food, but it seems to help with open-mindedness. You don’t want the same people calling all of the shots all of the time. 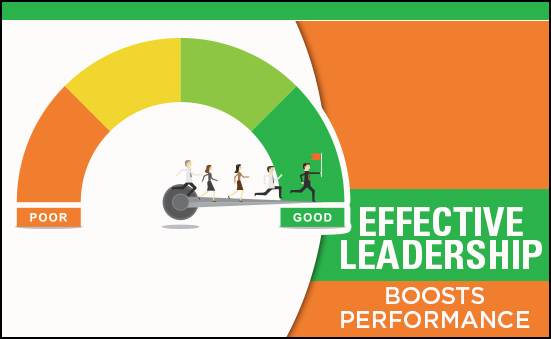 When this happens, individuals start to feel powerless, as if they have no influence or impact on the team. That causes passion to leave the team. You want to spread important tasks across a wide range of people. This actually has a dual-positive effect—not only does everyone feel valued and that they have an important role to play within the company, but you also keep individuals from feeling overloaded and overwhelmed. The results of every collaborative effort should be tracked and then shared with the team. If you don’t share the results of your collaborative efforts, you not only rob your organization of valuable information, you minimize the impact of the collaboration itself. In the end, collaboration happens when teams work together to generate an end result (product, change, policy, etc.) that’s greater than the sum of each individual’s contributions. Collaboration needs seamless, continuous communication and a commitment that ensures teams have everything they need to collaborate with ease. Charles Darwin credited collaboration with mankind’s success: “In the long history of humankind (and animal kind, too) those who learned to collaborate and improvise most effectively have prevailed.” It’s tough to argue with Darwin. So, I won’t. 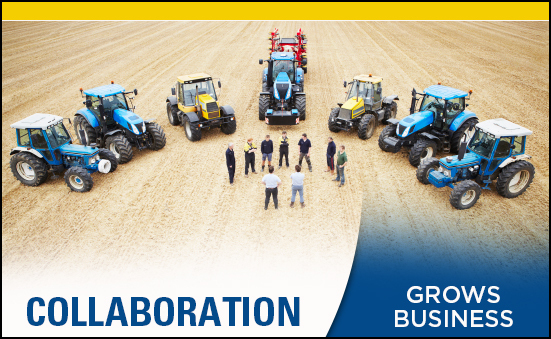 In fact, as it relates to business, I agree that collaboration is essential. As a matter of fact, I believe collaboration is not just a business buzzword, it’s what drives successful WOWing businesses. 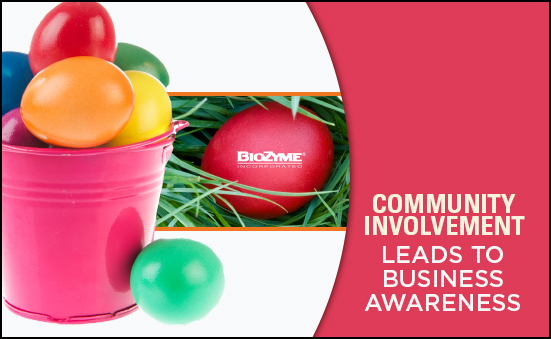 Some people learn about the Amaferm® advantage from feeding one of the many supplements BioZyme® offers. Others read educational material, visit the website and/or ask questions of the Area Sales Managers. And yet, a select group run their own trials so they can experience and witness the benefits first-hand. That’s the case for Cody Stoker, who co-manages LaJunta Mill, LaJunta, Colo., with his brother. About 10 years ago, LaJunta Mill received a request for a custom show ration with Amaferm added to it, according to Stoker. Unfamiliar with Amaferm, he started doing some research, comparing it to other additives from other companies he had used in the past. Once he saw the results, he was hooked, and has been mixing Amaferm into all his ruminant feeds as well as some horse feeds. “You see those animals really get a healthier look, and you know if they look healthy on the outside, they are healthy on the inside. I have also seen a reduction in feed intake, especially dry matter intake,” he said. Stoker has been feeding a custom mineral tub he developed for the Mill with Amaferm included in it for about the past five years. He uses the tub while feeding free-choice cane hay to mature cows. He said he sees a reduction in forage consumption while those cows maintain their body condition score, therefore he knows his cows are getting the maximum nutritional benefits from the Amaferm. Stoker uses computer software to assist him when it comes to formulating the Mill’s custom mixes and its own brand of feeds. He has been around livestock his entire life and understands the importance of a precision-based prebiotic like Amaferm that aids in intake, digestibility and absorption. In addition to feed, custom mixes, tubs and show rations, the Mill also includes Amaferm in some of its range cubes. He has one producer who feeds the range cubes to his cows and has seen tremendous response to his cows’ nutrition at calving time. The biggest challenge Stoker has with suggesting Amaferm as an additive in a custom-mixed feed is the price tag producers see for the bulk order. “They shy away due to the overall cost when they see a product with Amaferm in it. But if they would do the math and break it down, they would see it’s only costing them about two cents per head, per day,” he said. 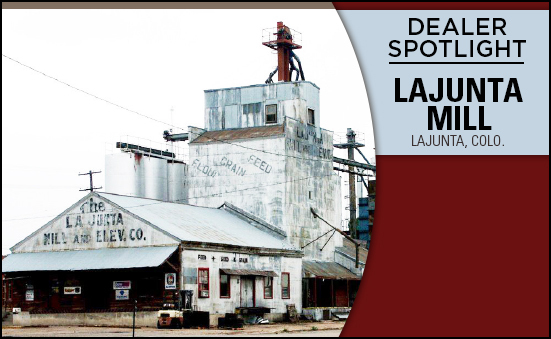 A simple suggestion by a customer led one leader at LaJunta Mill to dig deeper. With a little research, some trial and error, Stoker discovered the benefits of Amaferm on his own animals and knew this was a secret he needed to share. Progressive dealers like LaJunta Mill care about their customers and their customers’ animals and that is why they choose Amaferm as a trusted additive for their products.